How can I check and filter project where I am working on? 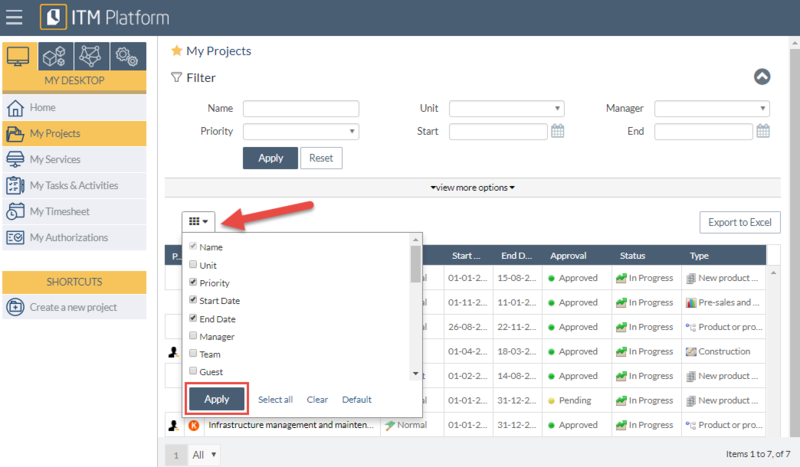 You can access all projects where your assigned, as well as user filter to seek a specific project. Include columns with all needed data. 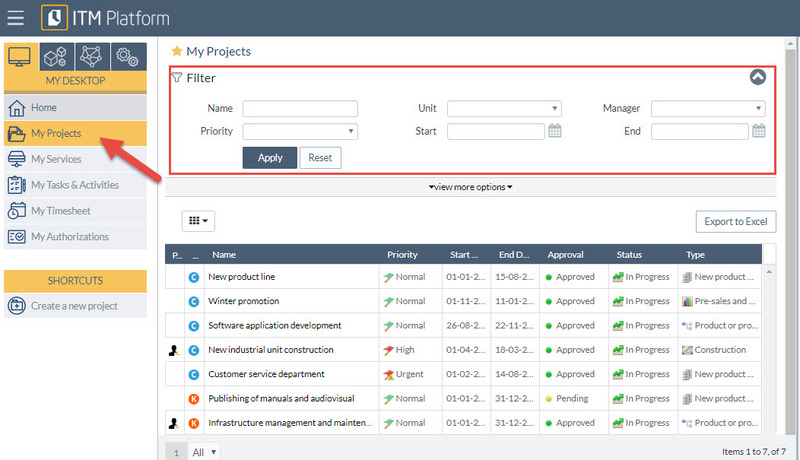 First column will inform if you are Project manager, you may sort data by column or export all info to Excel.